Mellow Yellow is a stout cream colored brockle face bull. Extremely clean in his throat, brisket, and sheath. 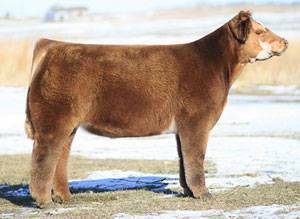 He will be a great canidate to mate carrier cows to make exotic colored steers and show heifers.